​Young ​Liverpool forward Harry Wilson could be set to join ​Stoke City on loan. According to ​The Times, move would be included as part of a deal that would see Stoke winger Xherdan Shaqiri complete a permanent transfer to Anfield. Liverpool will pay Stoke over £12m to seal the deal, which will see 21-year-old Wilson continue his development with a ​Championship club that is expected to seal promotion back to the ​Premier League at the first time of asking. Wilson ​signed a new five-year contract at Liverpool this week, which emphasises how highly he is regarded by the management staff at Anfield. His loan move to the Potteries is not a certainty yet, with fellow Championship clubs ​Swansea City and ​Aston Villa both said to be interested in the striker, who spent the second half of last season on loan at ​Hull City.  @harrywilson_ has signed a new long-term contract with the Reds. 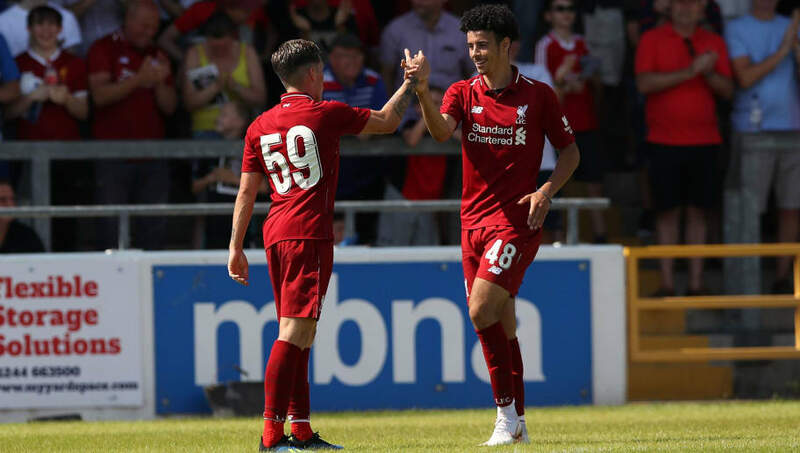 Speaking after signing his new Liverpool contract recently, Wilson said: "When it got offered to me, I was desperate to get everything sorted so I could sign it fairly early on in pre-season because I want to focus on playing football. "So, now this is sorted, I feel I can do that and push on and try and impress." Wilson has made it clear that his main aim is to impress Jurgen Klopp on Merseyside, and is not looking too far into the future as he focusses on his short-term targets. "I think my short-term focus is to keep trying to impress the manager day in, day out in training and, the minutes I get in pre-season, try and impress. "[I want to] keep trying to score goals, [get] assists, help the team out and then I'm not looking too far beyond that. "I feel if I do well enough here, everything else will take care of itself."